Here is a 3 color block print done quite some time ago. 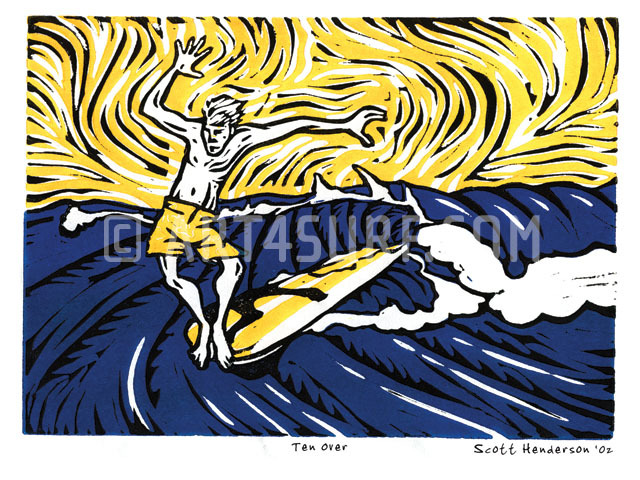 This was available for sale on my e-commerce site art4surf.com. I may still have a few around & will post them on art4surf some time in the future for sale.